Nativehire was chosen to be the recipient of a community service fundraising event. Osceola Consulting and SDG&E held a joint fundraising event in which the proceeds went to Nativehire and the American Lung Association respectively. 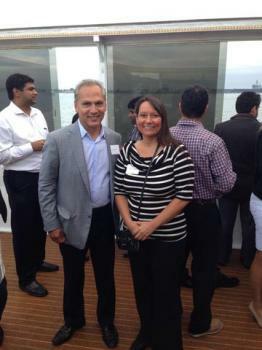 The fundraising event, held Aug 12th called, ‘Cruising with Diversity’, and took place on a yacht in the San Diego Bay. Dr. Claudine Montes was there to represent Nativehire. Osceola Consulting is a Native owned business that provides management consulting and technology services to the utilities industry. Osceola Consulting was nominated (by Southern California Gas) and won the 2013 Minority Supplier of the Year by the Southern California Minority Supplier Diversity Council. Nativehire would like to thank Osceola Consulting for its generous donation and for supporting our efforts to reduce unemployment rates in Indian Country.